Bill Cosby has been found guilty of three counts of assault, each of which carries a potential 10 years in prison. The 80-year-old actor has been on trial for drugging and assaulting ex-basketball player Andrea Constand 14 years ago. Bill Cosby, the first major black actor on primetime TV, will remain out of jail until he is sentenced, the judge ruled. Prosecutors argued he should be denied bail, arguing that he should be held because he is “somebody who has unlimited wealth” and could flee on a private plane. “We are so happy that finally we can say, women are believed, and not only on #MeToo, but in a court of law,” lawyer Gloria Allred added. It was the second time Bill Cosby had stood trial for the allegations, after an earlier jury failed to reach a verdict in June 2017. At the start of the retrial in Pennsylvania it was revealed that Bill Cosby had paid Andrea Constand almost $3.4 million in a civil settlement in 2006. 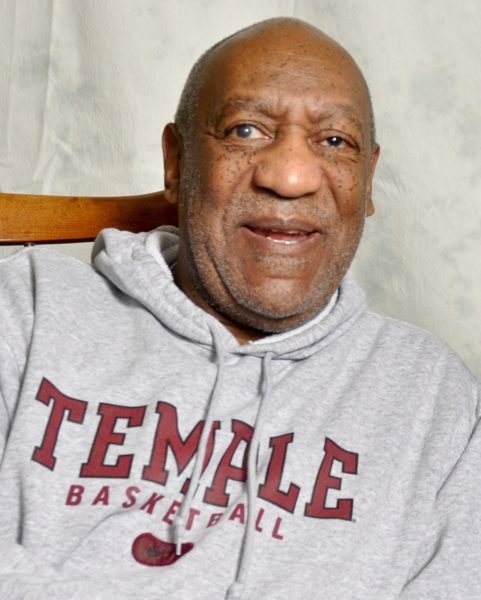 Bill Cosby is best known for starring in the 1980s TV series The Cosby Show. Around 60 women over five decades have publicly accused Bill Cosby of being a predator. But statute of limitation laws mean that only one charge has been brought to trial. Some of his accusers were present in court, and cried as the guilty verdict was returned. Bill Cosby’s lawyer Tom Mesereau insisted “the fight is not over”, adding that he believes the actor is innocent and that he plans to file an appeal. Montgomery County District Attorney Kevin Steele, who brought the charges against Bill Cosby, held a press conference after the verdict. When the attack took place, Andrea Constand was working as director of operations for the women’s basketball team at Temple University, Philadelphia. She told the court she had gone to the home of her then friend Bill Cosby, to discuss her resignation. Andrea Constand said he had given her three blue pills to “help take the edge off,” which she believed to be a natural remedy. Minutes later, she was suffering double vision and quickly lost consciousness. She awoke to find Bill Cosby assaulting her, she said, adding that the drugs made her physically unable to fight back. Andrea Constand reported the attack, but the district attorney refused to press charges. The case was reopened in 2015. Judge Steven O’Neill allowed five of Bill Cosby’s other accusers to serve as “prior bad acts” witnesses during the trial, as the prosecution sought to establish a pattern of misconduct. Heidi Thomas told the court that Bill Cosby served her spiked wine that made her drowsy for four days in 1984. Former model Janice Dickinson was among those who testified, alleging that Bill Cosby drugged and raped her at a hotel in 1982, when she was 27 years old. The case against Bill Cosby was one of the first celebrity assault trials conducted in the light of the #MeToo movement, which has raised awareness of alleged misconduct by a number of powerful media figures.